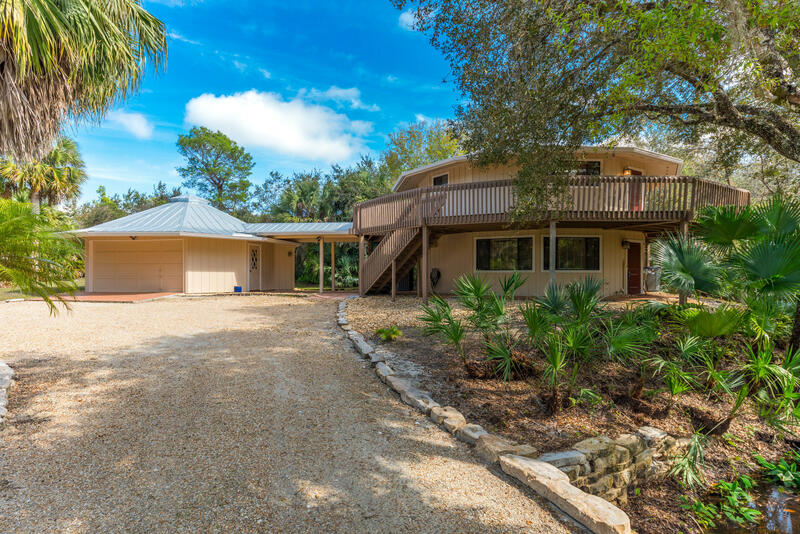 Unparalleled value in this private & modern Crane Creek home, with nearly 1.5 acres of pristine land backing up to saw palmetto preserves.  The Bessey Creek Slough courses through this property and provides a private, lush oasis of native flora. ☀️ The home itself has gone through a tasteful renovation, featuring 3 bedrooms, 2.5 bathooms, a metal roof, and a full 2-car garage.